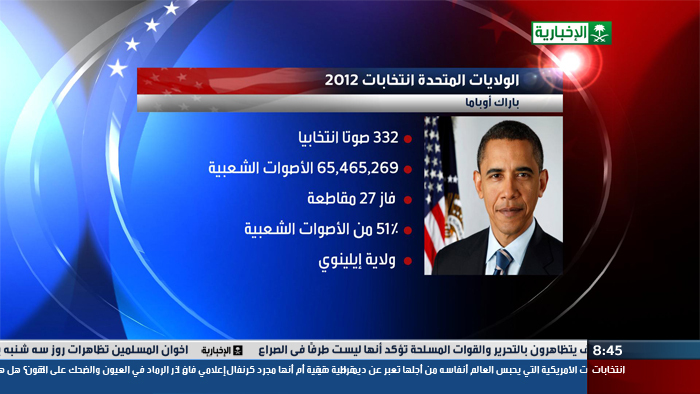 In the days leading up to the 2012 US Presidential elections, Saudi TV relied on the quality and quick response they have come to expect from Astucemedia for some elections-related graphics that would be using during their news broadcast. 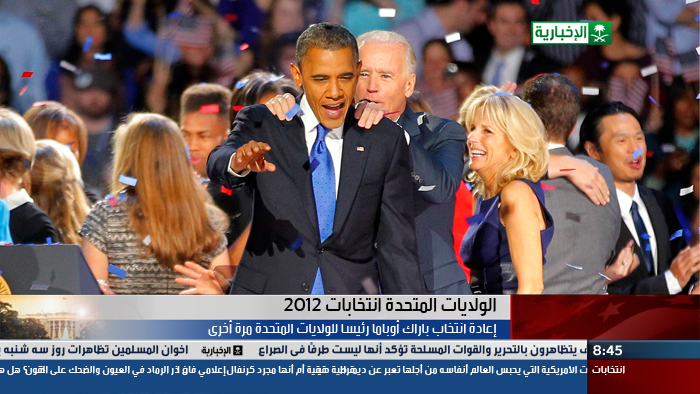 Even though the project was not for a comprehensive elections package, Astucemedia understands the importance that is placed coverage of the American elections and was happy to prepare the Viz scenes as required. By having Astucemedia as a trusted partner, delivery-time is optimized without layers of red-tape and procurement processes. 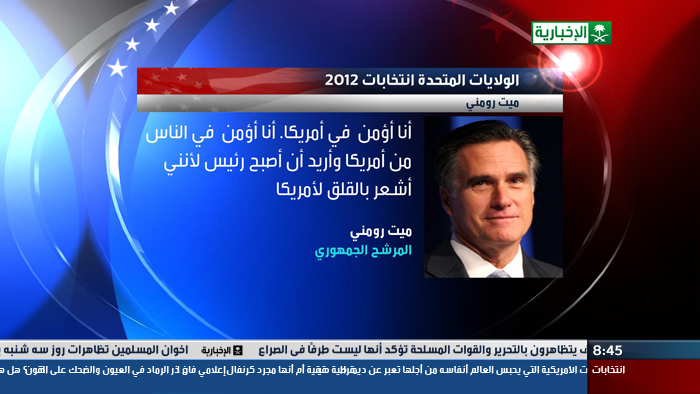 The Saudi TV team can rely on the graphics with minimal back-and-forth.